Original era manufacture. 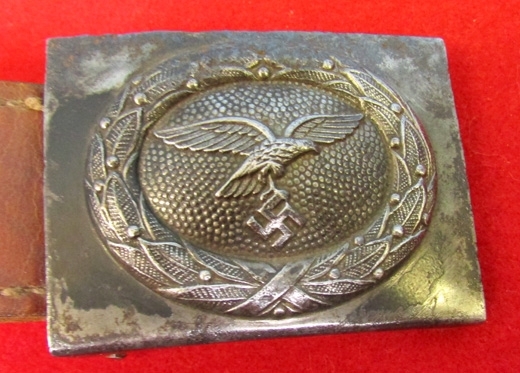 Standard stamped steel enlisted Luftwaffe buckle, with an original sewn brown leather adjusting tab.Mix of original paint and steel patina finish, with pitting on the top edge of the buckle. 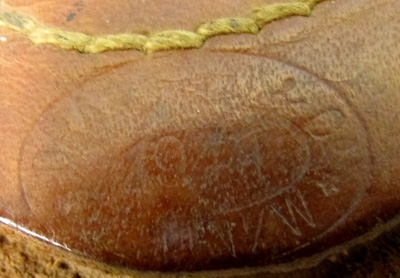 Maker marked and 1941 dated on the leather tab.